Sol 4433, July 13, 2016. 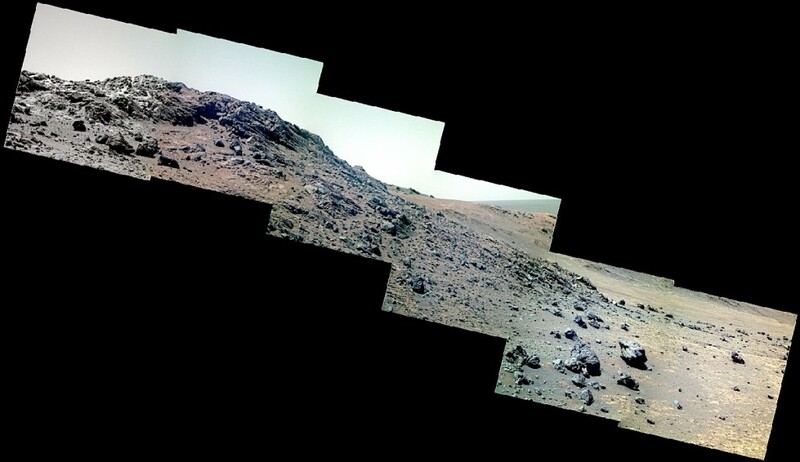 A sequence of false-color Pancam frames outlines the edge of Hinners Point, which forms the north wall of Marathon Valley (color versions by Holger Isenberg). Click to enlarge. This entry was posted in Reports and tagged Cape Tribulation, Endeavour Crater, Hinners Point, Marathon Valley, Mars Exploration Rover, MER, NASA, Opportunity. Bookmark the permalink.